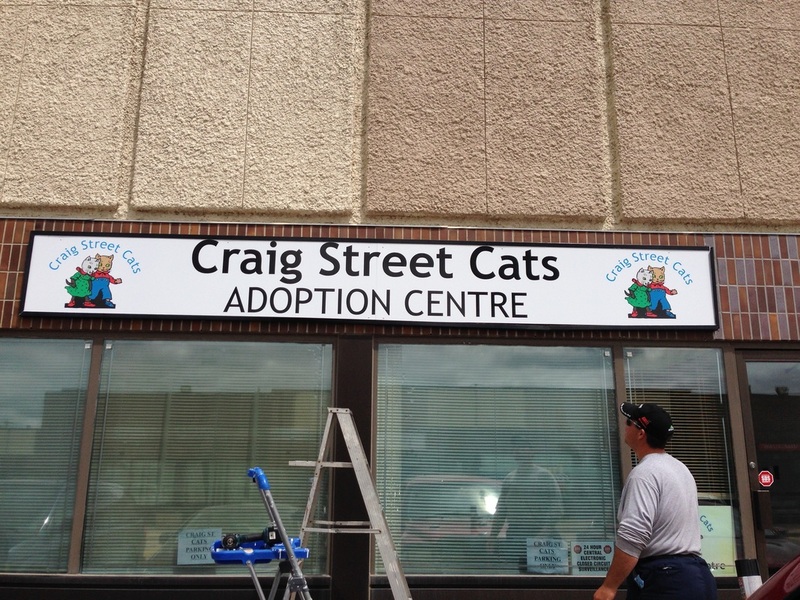 Our adoption centre is the base for all of our life saving programs for Winnipeg's community cats. It also provides living space for adoptable cats and kittens waiting for their forever homes, storage for equipment and supplies, and a small retail area to help fund our programs. ​The centre is not a shelter in the traditional sense. It cannot accept surrendered pets, or random stray cats. Rather, it provides a safe haven for the cats and kittens in our programs, and allows us to provide rescue in emergency situations. Our registered colony managers know that any kittens born into their colonies have guaranteed adoption space, and that the adult cats they trap have a guaranteed place to recover after spay or neuter surgery. ​Without our adoption centre, our innovative programs for community cats could not exist. Our adoption centre gives us space to train concerned people who want to help the cats in their neighbourhoods. Colony managers join us for a 3 hour training seminar to learn safe trapping and sound colony management techniques. Neo-natal kittens, tiny bottle babies, are most at risk of being killed at traditional shelters, because their care is expensive and difficult. Our adoption centre allows us to provide a nursery that saves these lives. Dedicated bottle baby feeders come into our centre to give round the clock care to these vulnerable babies.